This entry was posted in Opinion and tagged Dragonvale, Exercise, Giving up smoking, Gym, Lollies, One line rule diet, Sugar free diet by JenniferHansen. Bookmark the permalink. 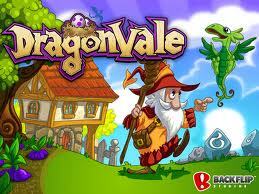 Dragonvale?? Really Jen! I’m following you with the sugar one line rule and it’s been such a revelation. I’ve tried to lose weight and to feel better for so long and now, seeing how much sugar I’ve been eating!! I feel I’ve been duped really. I have lost 8 kilos over the past 5 months by mainly cutting out sugar. It’s made me feel so much better too – no more foggy brain (which is never ideal for a writer). Thanks for all the great tips. It’s been really helpful to have someone doing research. I did find something I’d like to share – Up and Go breakfast drinks called ‘VIVE’ – less than 5% sugar per 100g. Really yummy. Banana is great – so is Vanilla Bliss. Next goal – get to a gym…this will be the tester for me. Thanks again for a great blog! Yeah,I know – Dragonvale – pathetic huh? But at least I’m honest! And surely its better than playing the pokies?? But yes, just as useless and a time-waster, so BAD!!! No more!! So glad you like the sugar free tips and blogs. I LOVE your tip about Up and Go breakfast drinks. Will definitely get on to those and include them as well. Thank you!! !